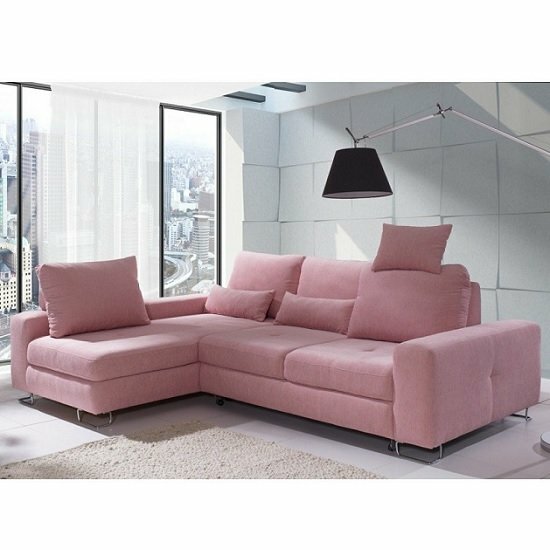 Living in a small home doesn’t mean that you need to sacrifice function or style, and you can get both with our sofa set designs at Furniture in Fashion. Whether you want a luxurious leather sofa to ooze personality or a functional and simple sofa bed to turn your small living room into a functional space, we have plenty of choices for you to pick from. We don’t skimp on style and we offer budget options as well. Small living rooms often have the problem of being far too cramped to comfortably fit a sofa, coffee table and TV stand. Luckily, we offer some unique designs that are sure to fit into even some of the most space-starved living rooms. Since we offer a complete set design, you don’t need to worry about maintaining a coherent style in your living room–we’ll take care of that for you. Make the most of your small living room today by relying on our service and the range of sofas we offer. We stock a wide range of furniture options that can help you style your room to perfection. Furniture in Fashion has been selling furniture in the UK for a really, really long time. We have all the tools are our disposal to offer you beautiful furniture sets for a compelling price that you just can’t miss. We also offer plenty of discounts and deals, so you’re sure to find something in your price range that you love. Whether you’re furnishing a new home or want to upgrade the furniture in your home, we’re ready to help you. Simply give us a call or contact us any way you prefer and we’ll gladly discuss your choices or answer any questions you have.